Danny Cipriani has kept his hopes of playing in the World Cup in Japan next year alive by joining Gloucester. GLOUCESTER HAVE WON the race to sign Wasps’ recalled England out-half Danny Cipriani. The playmaker has been linked with clubs at home and abroad after it was announced that he would leave Wasps for a second time at the end of the season. Cipriani has kept his 2019 Rugby World Cup hopes alive by staying in his homeland with a move to Kingsholm. The 30-year-old was last week included in Eddie Jones’ England squad for the tour of South Africa three years after winning his last cap. Cipriani, who featured for Sale Sharks and the Rebels in between his two spells with Wasps, rates his move to Gloucester as the most exciting of his career. “I’ve always enjoyed playing at Kingsholm and am excited at the prospect of spending the next few years in Cherry and White and playing in front of the Shed,” he said. Having spoken in depth with David Humphreys and Johan Ackermann, the future they have planned for the club is enticing and one that I very much want to be part of. It’s the most exciting move of my career to date. “I’ve still some important rugby to play for Wasps in the meantime and, when the time comes, it’s probably going to be an emotional farewell. 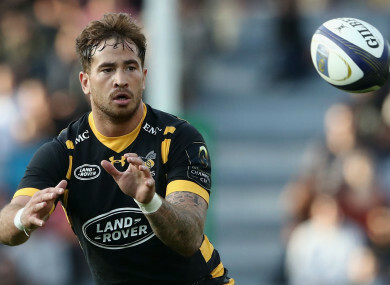 Cipriani is set to line up for Wasps against Saracens with a place in the Premiership final at stake on Saturday. Email “Gloucester the landing spot for recalled England out-half Cipriani”. Feedback on “Gloucester the landing spot for recalled England out-half Cipriani”.